Ships today if you order in the next 7 hours 59 minutes. 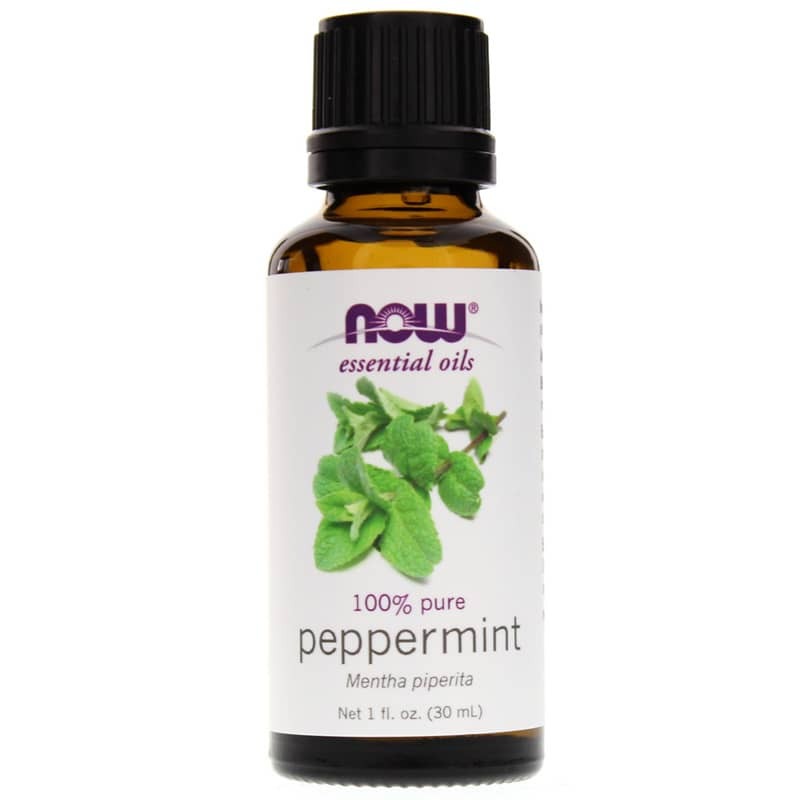 NOW Peppermint Oil is 100% pure, and steam distilled from fresh peppermint leaves. Peppermints brisk, uplifting aroma has been enjoyed for centuries, in both aromatherapeutic and culinary applications. Used extensively in both Eastern and Western medicine for everything from indigestion to diarrhea, headaches to tired feet, and toothaches to cramps. Peppermint is also a big favorite among the food industry, and can be found as a flavoring agent in gums, candy, ice cream, and pastries. However, peppermint really shines in aromatherapy, as its fresh, comforting scent soothes and relieves all sorts of ailments, both mental and physical. Energizing Blend: Add 1 drop each of peppermint oil and rosemary oil along with 2 drops of cinnamon oil to diffuser and enjoy. Always dilute before any use other than aromatherapy. Keep out of reach of children. Avoid contact with eyes. Avoid if pregnant or breast feeding. Do not use on babies or small children. May cause irritation to sensitive skin, however it is rare. Do a patch test, first, before applying in large amounts. Do not use in baths. 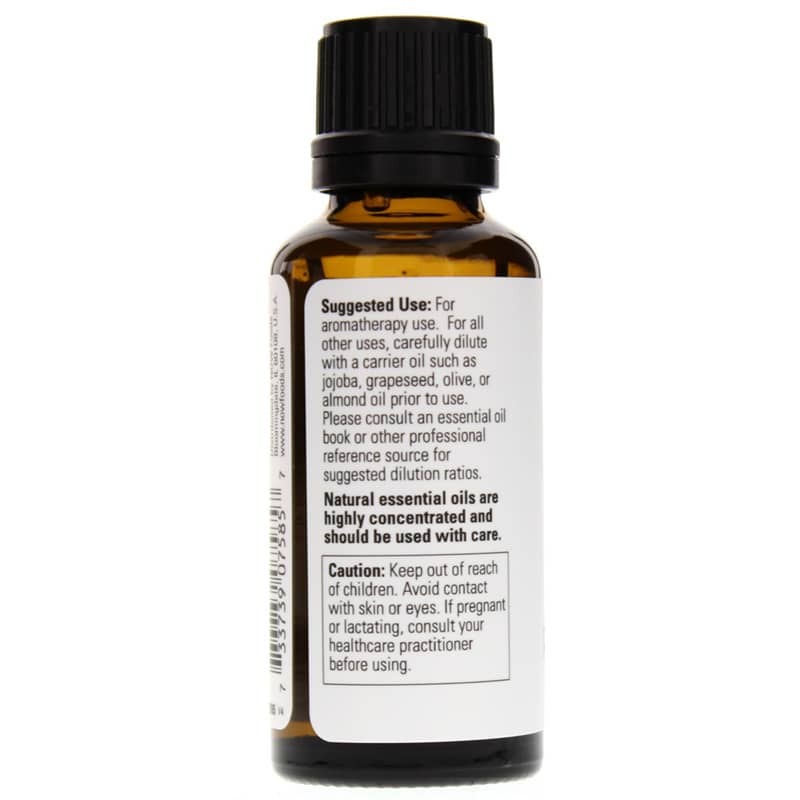 Should not be used in conjunction with homeopathic remedies, as it will act as an antidote. Works great! I just put a little on a tissue and inhale it. Peppermint isn't my favorite flavor, but is wonderful for use in massage. This blend is just right - not overpowering or bitter and a good texture to mix with massage lotion & oil for use on the body. I'm impressed! Price is very reasonable for larger bottle too! Researched and chose this source for my purchase. Very satisfied with quality price and service of the Peppermint Oil which I bought as an additive to a soap solution to destroy a yellow jacket nest. worked great. Have told others about your product. I want more and so do the other people. Excellent product. Ordered twice as sold my friends on using this item also! Used it at "outhouses" in Nat'l forest. Makes the flies so scarce and very lethargic. I use just a drop or two and massage it into my forehead. It's cooling and feels numbing. Good price and lasts a while. 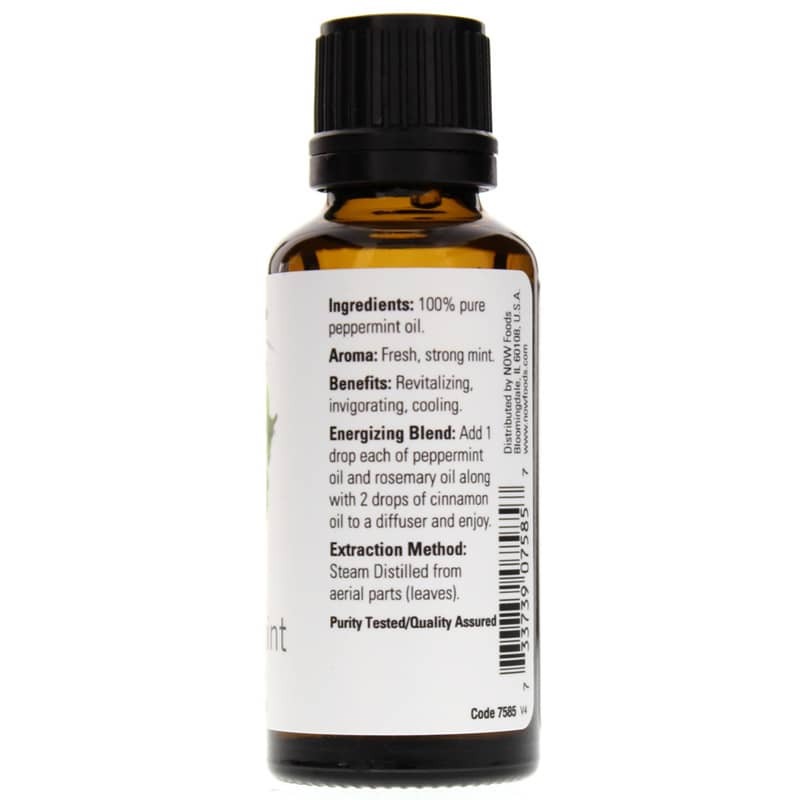 Wonderful oil that l used with spearmint oil to make a solution to rid my house of mice. This order was shipped as promised and packaged against damage in an excellent fashion and the Peppermint Oil was delivered in perfect condition more quickly than expected. I would buy the product again if needed. The product was in my doorway before I knew it!! I was disappointed to to learn after receiving my order to learn when I asked if it could be taken internally that it was for external use only. Therefore since I enjoy using a drop or two in my drinking water, I will not order this brand again. Love the smell of peppermint! Peppermint oil was great for getting rid of my headache. I applied a drop to a wet cotton ball and swiped each temple and within a minute the headache was gone.